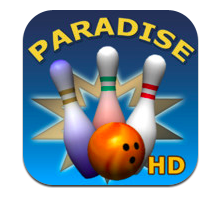 Bowling Paradise is an iPad game developed by InnoLab/Chinh Nguyen. If you love the fun of bowling but can’t stand the smell of rental shoes, this digital bowling experience is quite a bit of fun. Bowling Paradise isn’t the most realistic bowling sim out there, but that’s kind of what makes it great. Instead of bowling on a standard lane, you can set up a lane on the beach, in a garden, in outer space, or in a faerie mushroom garden. 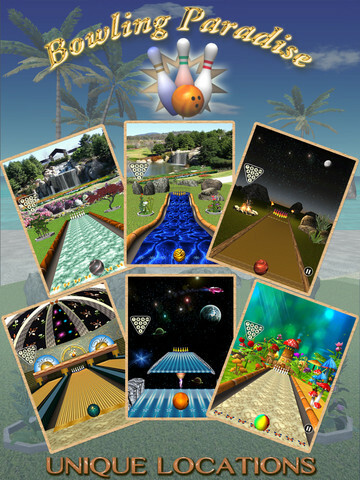 Adding more whimsy to the Bowling Paradise experience is the ability for players to make the pins and balls have patterns or multiple colors. To keep things interesting, you can play solo or against the computer. You can also set up multiplayer for 2-4 players. There are a variety of ways to control the ball. I prefer flicking it down the lane with my fingertip, and then adding correcting spin by sliding my finger to the left or the right. You can also tilt the entire device to add spin. The controls are solid, but the actual bowling experience seems a bit too easy at times. The balls seem to lack that pleasant heft you get in real life, and I think part of the reason for that is the sound effects. When the pins fall down, the sound effect used is too soft and delicate: I wish it was a more “thuddy,” satisfying crack. 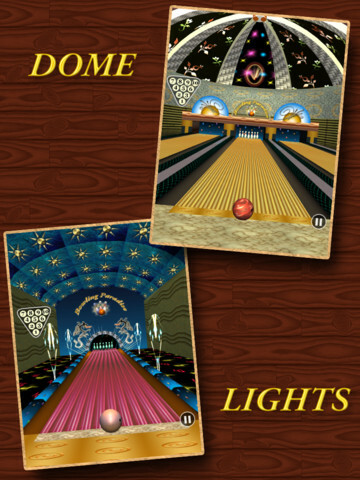 Also: am I the only one wishing there was an option for candlepin bowling? While I do wish that the virtual bowling experience had a big more “crack” and “heft,” this is a really fun take on bowling. 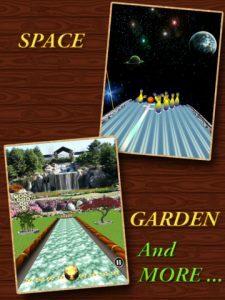 Whether you like bowling in the real world or not, chances are that you’ll get addicted to this simple, creative take on bowling. 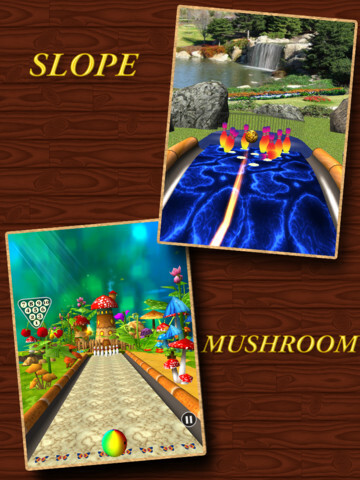 Bowling Paradiseis compatible with iPad. Requires iOS 4.0 or later.